Spare Bag for the Cobb Rear Mount Hydration System. Bag only. Hydration System not included. New for 2018, ISM proudly introduces the PN 3.1. Starting from our PN 3.0 chassis, we added more padding for riders who prefer a slightly softer ride. With a 120mm rear end and and tapered edges, the PN 3.1 is so comfortable, it will “disappear” underneath you. The Cobb Merica features a long narrow nose to eliminate chafing on your inner thighs and a long cutout for soft tissue pressure relief. It’s a great all ‘round road seat for high performance road riders looking for a comfort solution. Let Merica make your rides great again! The San Remo employs a Cobb composite base tuned with a bit of flex for comfort and hollow chromoly rails. The shape is the same and it gets the same memory foam padding. The cutout bridge adds strength and stability for consistent comfort. The Tenace features a cutout for soft tissue pressure relief. It’s a great choice for riders who employ a slightly more upright road position and for those requiring greater ischial support. A durable, lightweight, forgiving Cobb composite base and hollow chromoly rails keep the weight to a minimum so your comfort need not mean a costly sacrifice in weight. Looking to try out one of our Fizik Saddles before purchasing? Please review our Saddle Demo program terms and conditions below before adding this item to your cart. With a slightly wider 120mm rear end and an updated shape, the PN 3.0 is so comfortable, it will “disappear” underneath you. Similar to the other PN saddles, the PN 3.0 offerings superb thigh and hamstring clearance. This allows for more rider body movement around the seat, and is great for diving into fast corners. The PN 1.0 is new for 2016, and ready to take on any road. With the same chassis as the beloved Attack saddle, the PN 1.0 has a sleek updated look to match any bike. While originally slated as a road bike saddle, it has proven to be equally loved by triathletes and time trialists. The Touring remains a great saddle for upright bikes and a popular choice for the Men in Blue. Several police departments around the country use the ISM Touring saddle. After all, these folks are spending an average of 25 hours a week in the saddle - it better be comfy! Great for use with padded bike shorts, or regular everyday clothing. The new PM 2.0 incorporates a rounded and sloped rear end, allowing the rider to move up-and-over the back of the seat on technical trails. The PM 2.0 also excels at long-distance events,such as 24-hour racing. With long hours in the saddle, nobody wants to go numb – and this is your perfect weapon. The PR 3.0 is an update of the very popular Typhoon saddle. At 145mm wide, it is ISM's widest Performance Recreation model for those seeking maximum support. With 60-series foam and gel padding, you won't find a softer seat in the ISM line. Similar in design to the PS 1.0 Saddle, it features the same sloped front arms, but slightly thicker 30-series padding, and budget-friendly chromoly rails. The PL 1.1 is a new version of the very popular Prologue saddle, with updated racing graphics. Like the other Performance Long models, it features a full 270mm length, and generous 135mm rear section - perfect for riders who rotate back while climbing. A fresh take on our Breakaway saddle, the PL 1.0 fits into the Performance Long category. It features bold new graphics, and all of the comfort you expect from ISM. The PN 2.1 applies the PN 1.1 saddle technology to a triathlon platform. It features the same 40-series foam and gel padding as the PN 1.1, but features custom laser-etched graphics, upgraded chromoly rails, and a rear transition hook for easy racking and storage. The PR 2.0 is an all-new seat, taking inspiration from the Century model. Compared to the PR 1.0, it has upgraded foam-and-gel padding, and racing-inspired graphics. Another choice in the Performance Recreation line, this seat is loved by all types of riders from casual to professional. In high performance road bikes or triathlon bikes, there is a large difference in the seating positions compared to a more recreational type of bicycle. In the case of a triathlon bike, the rider is rotated much more forward, riding on a completely different part of the Pelvis area. The design of the V-Flow is made to complement this style of riding with its narrower width. The SHC 170 was designed for riders looking for a narrow nose width while still having long distance comfort. We combined our specially engineered, moldable base section with our thinnest memory foam to give you a light weight saddle that has great comfort. Neatly attaches to the rear of the following Cobb Saddles: Fifty-Five JOF, the Randee, the Plus2 and the Gen2. Includes one Saddle Bag. Mounts one or two water bottle cages (not included). Looking to try out one of our amazing Cobb Saddles before purchasing? Please review our Saddle Demo program terms and conditions below before adding this item to your cart. Randee is short for Randonneur, designed for long distance riders, riders that goes out and ride several hundred miles over a weekend and Gran Fondo riders that like to put in hard fast miles. This short nosed saddle provides unmatched adjustability and a wide 155mm rear support area. The Max saddle continues the line of rider friendly saddles developed with the thought of comfort and speed. The lowered nose section combined with the deep cut relief trough will relieve pressure in the prostate/perinea area for men and the soft tissue area for women. First Cobb saddle using JOF or 'Just Off Front' geometry, this short-nosed is specifically shaped to not interfere with upper hamstrings and to allow for multiple riding positions. The Plus2 is the next iteration of Cobb's go to Plus Saddle. It features longer seat rails for better range adjustability and integration of the rear water system. 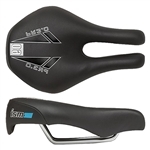 Looking to try out one of our amazing ISM Saddle before purchasing? Please review our Saddle Demo program terms and conditions below before adding this item to your cart.